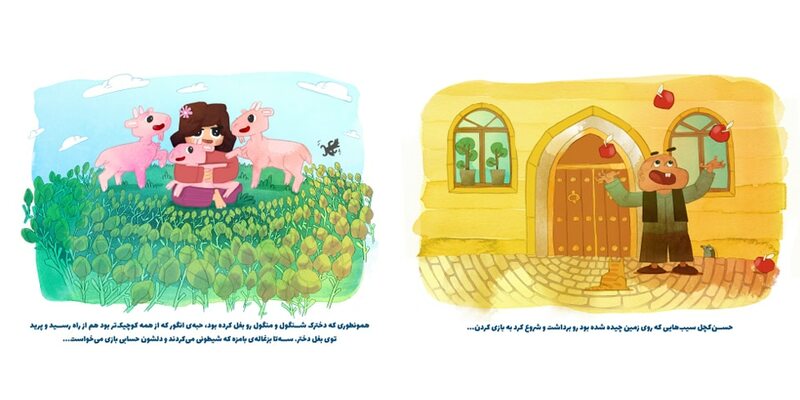 On the occasion of beginning of the New Year, the charity intended to produce a desktop calendar which the income is devoted to its children. 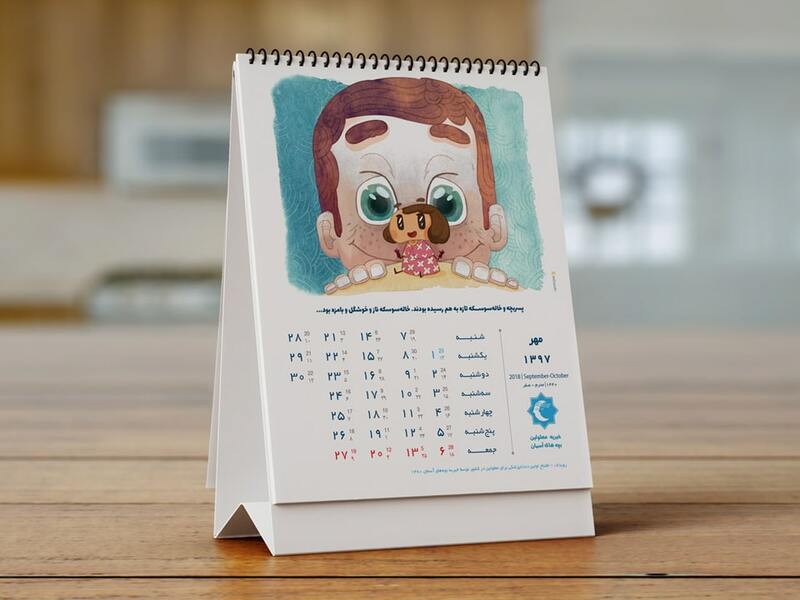 This calendar should have a childlike atmosphere and encourage the public to buy it. 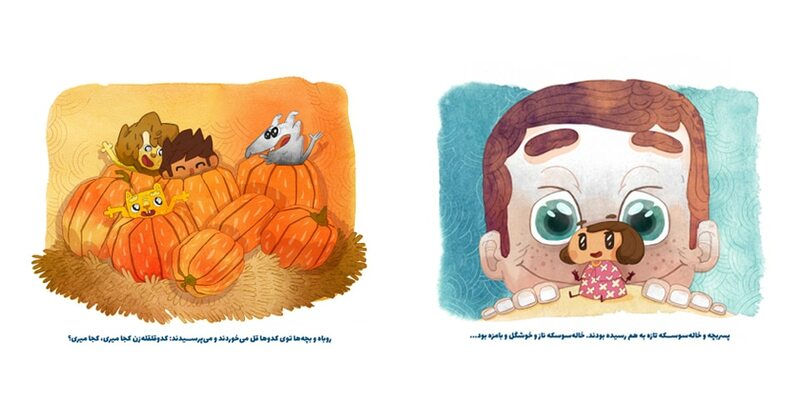 In the design of the calendar, we decided to create a fantasy atmosphere, focusing on children. 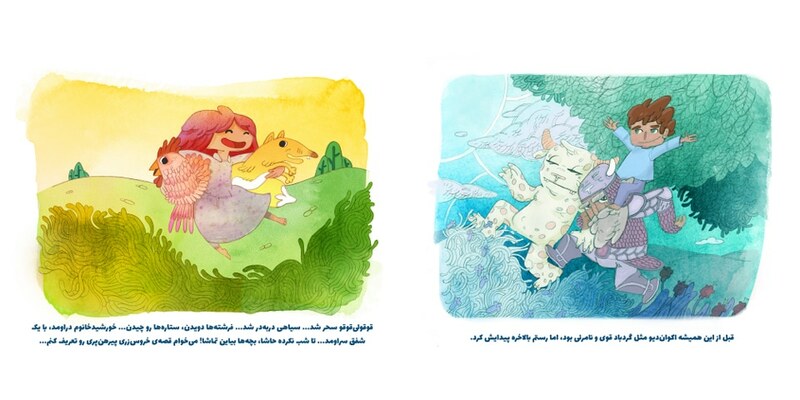 All over the world, one of the topics that can attract children, is the story; and Iranian literature is full of fictional and lovable stories that make good memories for children of the 50s and 60s. 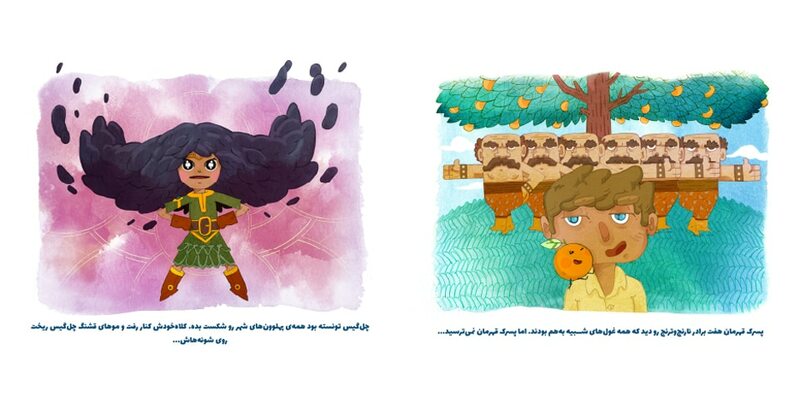 Therefore, the images of the calendar were selected based on these lovely Iranian stories. For example, “Narenj o Toranj” was chosen for the spring. Based on the context and atmosphere, we found “Akvan div” appropriate for September. 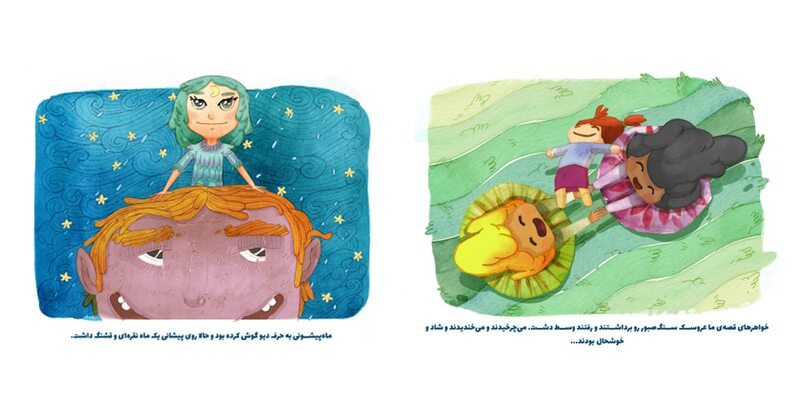 "One Thousand and One Nights" for December and “Mah pishooni” for February were considered. 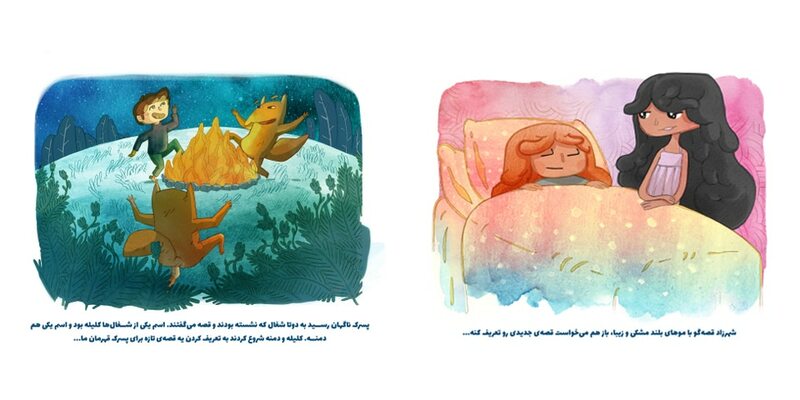 The stories were selected based on the features of each season and month, and a particular illustration was taken for each of them. Also, In order to further influence the audience, children's drawings were used in the design of the calendar.